This project started from an unexpected email from Kobelco Eco-Solutions Co., Ltd. They asked us the possibility of making use of high-quality sodium dispersion for organic synthesis, which was produced by them for the disposal of persistent organic pollutants. 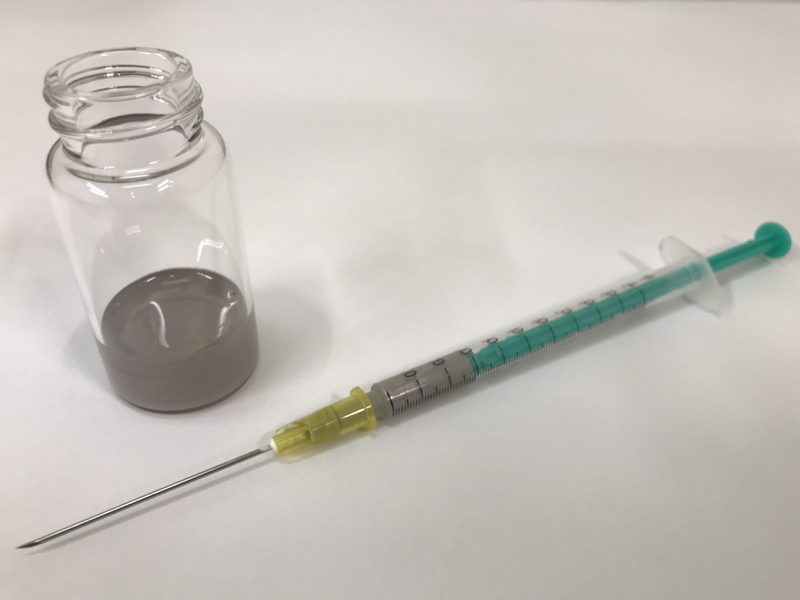 Despite our common belief that organosodium compounds are difficult to handle and the reactions using them cannot be of synthetic utility, we became interested in using the sodium dispersion for organic synthesis. This is because of the unique properties of a sodium dispersion, that a sodium lump does not possess. The sodium that we used was dispersed in paraffin oil with an average particle size smaller than 10 μm and a concentration of ca. 26 wt%. At this concentration, it is stable and easy to handle in air, and can be conveniently and precisely weighed using a syringe; this is not the case with a sodium lump. The reactivity of the sodium dispersion at this concentration on contacting water is lower than a sodium lump. Therefore, based on the Japanese regulation, the permitted amount of sodium that can be stored as sodium dispersion is about 45 times larger than that of sodium lumps. Other researchers have also become aware of the practical advantages of sodium dispersion recently [1,2,3,4]. What can we do with the sodium dispersion? The first thing that came to my mind was the cross-coupling reaction using organosodium compounds. This is because I used organomagnesium/zinc/lithium compounds almost everyday in my PhD research project on iron-catalyzed C–H bond functionalization reactions  and because I had an opportunity to attend a lecture given by Prof. Feringa on the cross-coupling reaction using organolithium compounds  just before my graduation. I was curious to know if the organosodium compounds would work just like other organometallic compounds. This naive question was actually the biggest driving force to move forward the simple yet challenging project. We started our research with the preparation of arylsodiums from aryl chlorides using the sodium dispersion following a method reported in 1954 . We were surprised to find that arylsodiums could be easily prepared under mild conditions, including sterically demanding ones whose congeners are otherwise difficult to access with other metals. These organosodium compounds were then converted to the corresponding organozinc and organoboron compounds, which could be coupled efficiently with aryl chlorides under the Pd-catalyzed Negishi and Suzuki-Miyaura conditions. Furthermore, the organosodium compounds themselves were found to undergo the direct cross-coupling reactions in the presence of the highly efficient catalyst, Pd-PEPPSI-IPent, developed by Prof. Organ . Thus, we have demonstrated that the organosodium-based cross-coupling reactions indeed have huge potential to replace the existing organolithium-based cross-coupling reactions. The organosodium chemistry has a long history that can date back to 1840–1850s but at the same time has an unfortunate history of hiding in the shadow of the organolithium chemistry, which has instead dominated synthetic organic chemistry during the last century. But now that we know sodium can do like other metals, we get motivated to explore more! We are working on many things that remain to be explored to realize sustainable organic synthesis that can maximize the attractive features of sodium, such as its global abundance, low cost, and non-toxicity. We hope that this study will inspire researchers both in academia and industry who are addressing sustainability issues in organic synthesis. An, J., Work, D. N., Kenyon, C. & Procter, D. J. J. Org. Chem. 79, 6743 (2014). Algera, R. F., Ma, Y. & Collum, D. B. J. Am. Chem. Soc. 139, 7921 (2017). Weidmann, N., Ketels, M. & Knochel, P. Angew. Chem. Int. Ed. 57, 10748 (2018) . Lei, P., Ding, Y., Zhang, X., Adijiang, A., Li, H., Ling, Y. & An, J. Org. Lett. 20, 3439 (2018). (a) Ilies, L., Asako, S. & Nakamura, E. J. Am. Chem. Soc. 133, 7672 (2011). (b) Asako, S., Ilies, L. & Nakamura, E. J. Am. Chem. Soc. 135, 17755 (2013). Giannerini, M., Fañanás-Mastral, M. & Feringa, B. L. Nat. Chem. 5, 667 (2013). Nobis, J. F. & Moormeier, L. F. Ind. Eng. Chem. 46, 539 (1954). Valente, C., Çalimsiz, S., Hoi, K. H., Mallik, D., Sayah, M. & Organ, M. G. Angew. Chem. Int. Ed. 51, 3314 (2012).